Why book Entertainer and Magician Steve Black? Known as "The Squeaky-Clean, Family Entertainer, Philadelphia Magician", Steve Black is in a league all-his-own, from his unbridled and unheard of 12-Minute Guarantee to his squeaky-clean Mother-Approved, Children's magic shows. In addition Steve has received rave reviews with Five out of Five Stars, reviews and referrals from Corporate CEO's for holiday parties, Award Banquets, Fund Raisers, etc. If you want a lethargic magician that generates a feeling from all your guests as though they were skiing behind a pontoon boat (insert *YAWN* here) then DO NOT HIRE STEVE BLACK! Steve Black said, "I work with event organizers who are bored of traditional entertainment and are looking for a fun and different way to make their event stand out. It can be frustrating to run an event that just seems to follow the set format of countless others that have gone before whether it is a corporate event, fundraiser or simply a birthday party. Finding good quality entertainment for an event can sometimes be difficult to do. You can hire a singer, a dance act, a band or a comedian and while they are all good choices, they've all been done "to death." Why not think sideways, shake-up status quo – hire a magician! 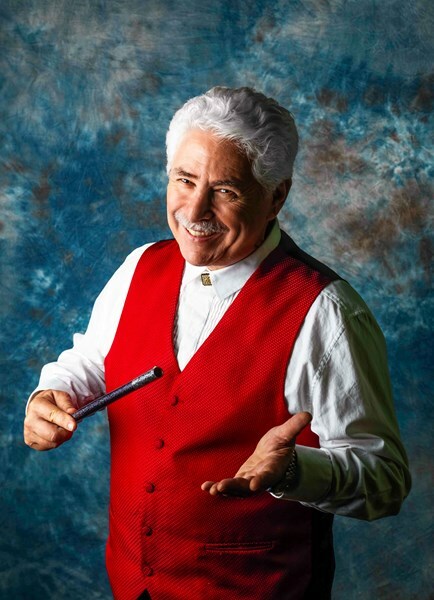 I am a magician entertainer serving Montgomery, Bucks, Delaware, Berks and Philadelphia areas and am passionate about making your event one to remember, whether you are worried about impressing a CEO, or more concerned that the children have a good time. I love to entertain and offer guarantees that your event will be talked about for all the right reasons. I don't consider myself a hired entertainer, I am a paid guest!" Finding a Top Class Bucks County Entertainer / Magician Is Not As Difficult As It Seems! Booking an entertainer shouldn't be such a struggle. There are many things that need to go well for an event to be a success, but the entertainment is one of the things people remember most. Would you like your guests to leave raving about how good a time they had and what a great event it was? Think it sounds too good to be true? It's not! You can get that reaction for your event too and your entertainment is one major key to achieving that! "I am focused on helping you if you are organizing an event from a birthday party to a corporate function, and are struggling to come up with an original entertainer to help make your event outstanding. Ensure your entertainer is involved in making your event a huge success! Making your event stand out requires a tailored understanding of your guests. Then it's a matter of being assured your entertainment matches the expectations of the audience, the theme of the event and how you want to be remembered. It really pays to ensure your entertainer is an integral part of the planning so that everything goes smoothly and makes your event truly outstanding. Steve Black communicated well before the event. He arrived right on time, set up quickly, and the show was underway. Everyone enjoyed every minute. He was terrific with including the adults but really was focused on the kids. The kids could not sit still and were so excited. He came highly recommended to me and I am happy to pass on the same strong recommendation. Couldn't be happier! Steve's overall performance was outstanding. Our guests were unanimous in their enjoyment of the show. Steve's magic was enhanced by his showmanship adding to the show's overall effect. I contacted this magician 2 days before my event and he was able to contact me very quickly and respond. My guests thorougly enjoyed his presence, however, it was a bit short. If there was anything that could have been improved, was the price.. it was a little expensive ( 235) for an hour, but that could have been due to the short notice. HOwever, if you are in need of magician, one that is charasmatic and works well with both children and adults, Steve Black is your magician! We had a great time at our EMS squad appreciation dinner with Steve Black. He first went to the individual tables and socialized with everyone while doing slight-of-hand tricks and everyone found him charming and funny. His show was very entertaining and well organized with great showmanship and lots of jokes throughout. We really enjoyed the audience participation and loved his sense of humor. I would highly recommend him for any event and I have already been asked to have him back again next year. 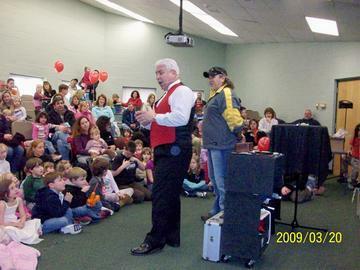 Our seven-year-old and her friends were mesmerized by Steve Black's magic. Even the one or two skeptics had their jaws dropping after a few tricks. (In Fact, even the initially skeptical parents in attendance were clapping and nodding by the halfway point in the performance.) Steve Black held the children's attention--and there were twenty-two children there at this show--no small feat. He also had all of them howling with laughter, and included them in his act. I would hire Steve Black again for my child's birthday party. Thank you! Great Show! My kids laughed for days. Appropriate content for the age group. Fun for adults as well! Steve was GREAT and the children adored him. The parents were pleased as well. Thank you for making our Family Fun Night a true Family event! Please note Steve Black will also travel to Bryn Athyn, Huntingdon Vy, Rockledge, Meadowbrook, Jenkintown, Ogontz Campus, Roslyn, Fort Washington, Abington, Willow Grove, Hollywood, Foxcroft Square, Hatboro, Feasterville Trevose, Uppr Moreland, Holland, Churchville, Oakford, Fstrvl Trvose, Trevose, Erdenheim, Cheltenham, Horsham, Wyndmoor, Warminster, Laverock, Hartsville, Wyncote, Ivyland, Southampton.